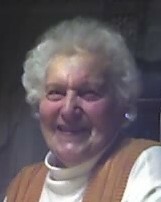 Thomaston – Lillian A. Lauretano, 98, passed away on Monday, August 13, 2018, in the comfort of her home surrounded by her family. She was the wife of the late Matthew J. Lauretano. Lillian was born in Oakville, CT on November 14, 1919 to Dominic and Josephine (Martino) Giannini. She leaves behind her five children, Angela, Anthony, M. Louise, Elizabeth, and Joseph Lauretano; and her brother, Francis Giannini. Calling hours will be held on Thursday, August 16 from 11 a.m. to 12 p.m. at Lyons Funeral Home, 46 High Street, Thomaston. Burial will follow in St. Thomas Cemetery. In lieu of flowers, memorial contributions may be made in Lillian’s name to the Connecticut Humane Society.